Resilience, gratitude and mindfulness are three very important areas of your life that you can take control of. 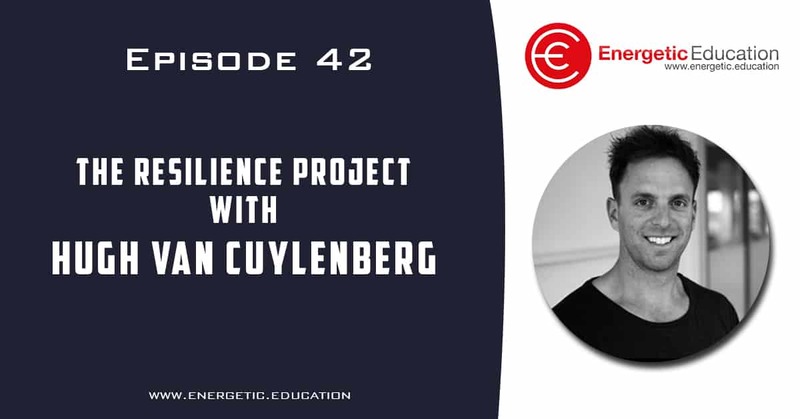 In today’s episode, I catch up with Hugh Van Cuylenberg who is the founder of ‘The Resilience Project’. If you are not familiar with Hugh’s work I would recommend watching the YouTube clip of Hugh in action, the link is below in the show notes. Hugh is on a mission to help educate as many students, teachers and adults on ways to have more gratitude and resilience in life. Hugh travels the globe presenting to schools, sports teams and high profile corporations on how to focus on mindfulness in our everyday lives. After listening to today’s episode the one huge take away you can do, is simply download the Resilience Project’s new app. I have been using this app for a couple of weeks now and it is truly amazing. Don’t just take my word for it, the app is FREE, so click on this link and start practising gratitude, resilience and mindfulness today. Great podcast, very informative and easy to apply. Thank you Leah, we are really pleased that you enjoyed this episode with Hugh. I have just downloaded the app after listening to this podcast on my run today. Great stuff Nikki, its an awesome app.